THE occupants of a vehicle which collided with a truck on the Capricorn Hwy yesterday were lucky to escape serious injury. 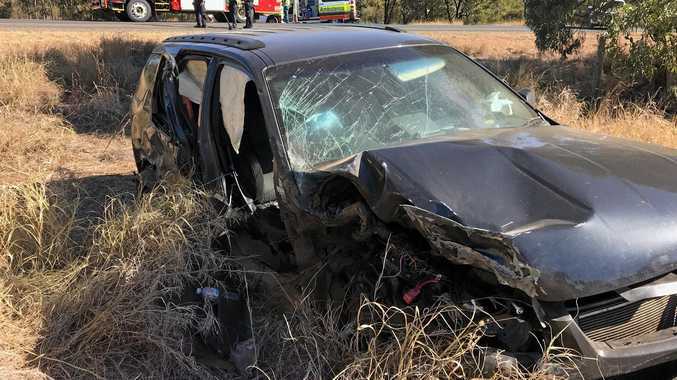 One person, the male driver of the vehicle, was taken to Rockhampton Hospital by the RACQ Capricorn Rescue Helicopter Service with a suspected broken arm and facial lacerations. The car he was travelling in collided with a truck carrying an explosive material around 1.30pm. 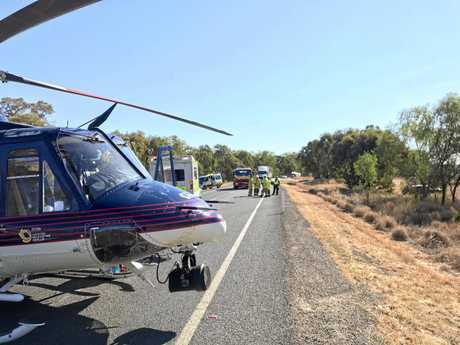 The Capricorn Hwy, about 150km west of Rockhampton, was closed to allow the chopper to land and the crash to be cleared. According to Queensland Fire and Emergency Services, the truck was carrying ammonium nitrate and the tanks erupted in the collision. Ammonium nitrate, a chemical commonly used in Queensland as an explosive in mining operations, is a highly explosive compound. 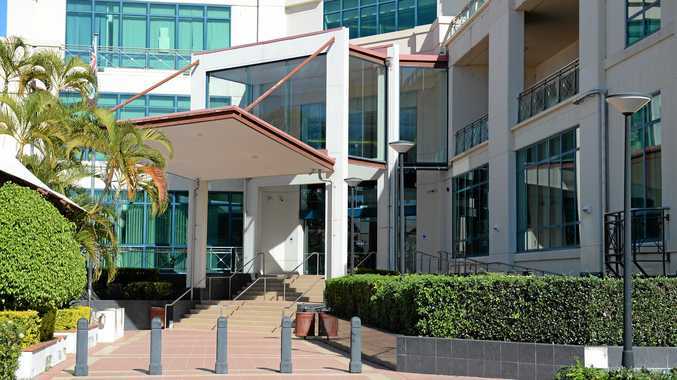 Work Safe Queensland states the substance is relatively stable under most conditions but can explode violently if it comes into contact with an open flame or other ignition source. Fire crews reported there was a "very small” amount of residue that leaked on the road which was washed down immediately. The small SUV sustained significant damaged to the front, right wheel and the driver's side door was torn from the vehicle. The remaining occupants, including five children, sustained only minor injuries according to an RACQ Capricorn Helicopter Rescue Service media spokesperson. As a precaution two of the children were taken to Blackwater Hospital. The highway was reopened around 10.30pm under reduced speed of 40km/h.